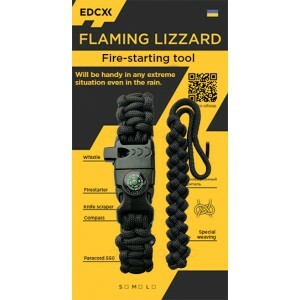 Flaming lizard is a kit that consists of 2 multifunctional wares: a bracelet and a lanyard. Both will be handy for starting a fire in an extreme situation. 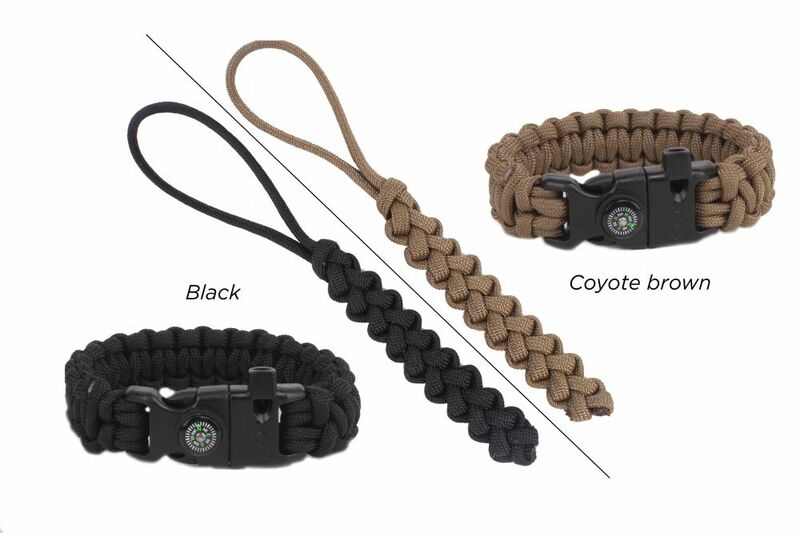 Paracord bracelet or as it also called “survival bracelet” became popular with tourists, sports and survival fans, military personnel. It can be used both as a decoration and multifunctional tool. 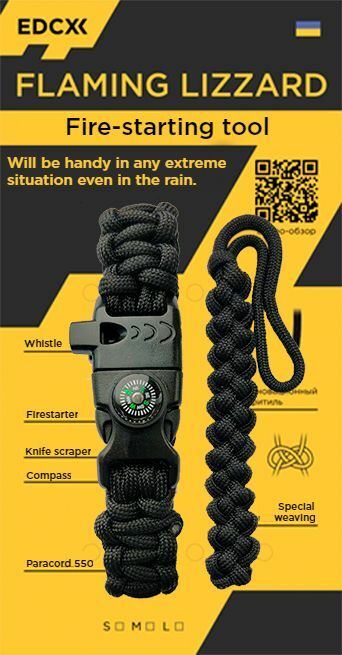 The bracelet is made of solid paracord 550 Type III which neither rots nor reacts to UV lights. It is also resistant to mildew and has a breaking strength of 250kg. 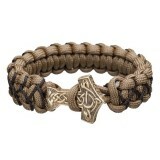 By unweaving the bracelet you can get additional 3m of paracord that subsequently can be used in different situations. Learn about some of them by visiting the following link. 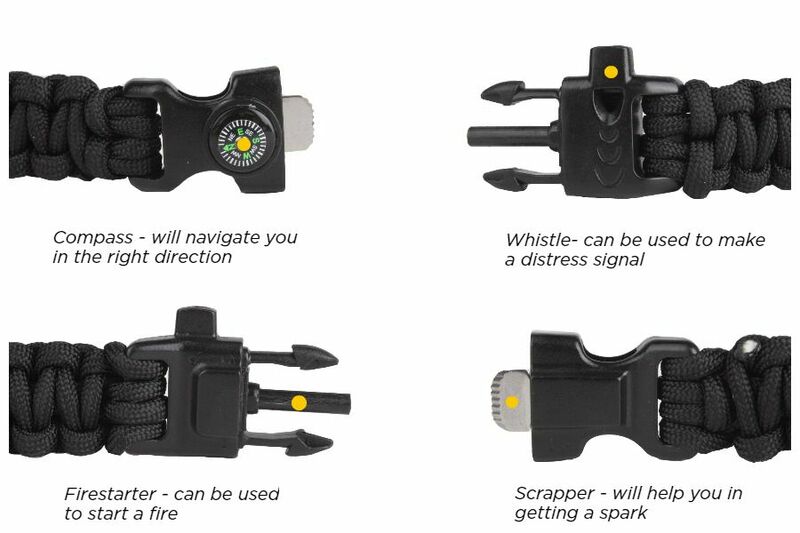 The clap we use is multifunctional as well and is complemented by a whistle, flint, and compass. Using the whistle you can make an acoustic signal to ask for help or scare off wild animals. The compass will be helpful in orienteering while the whistle can be used to start a fire. Lanyard Lizard is made of special rope - flame cord. Thanks to its special weaving it can be quickly and easily unweaved. 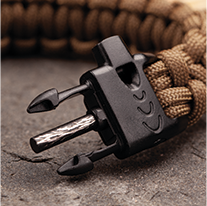 Flame cord consists of innovative fuse which is water resistant and easy to burn. 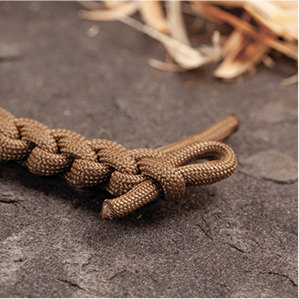 Thanks to the special weaving gently and quickly unravel the lower part of the keychain. Fix and cut off the ends gotten to get the keychain into its previous form. 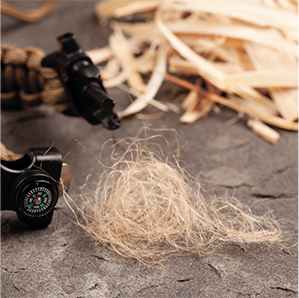 Get the innovational fuse out of the sheath, separate and put it together into a small pile. Prepare some firewood for starting a fire. 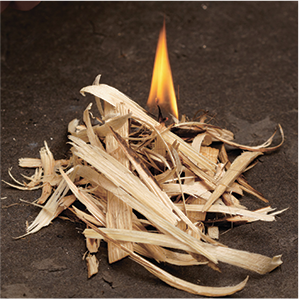 Before using the fire starter you need to remove the protective layer using a scrapper. 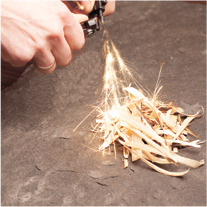 Put a scrapper on the firestarter at the acute angle and strike a spark by sharply striking the tools together. Using the bracelet clasp put a scrapper on the firestarter at the acute angle and strike a spark onto the tinder prepared by sharply striking the tools together.